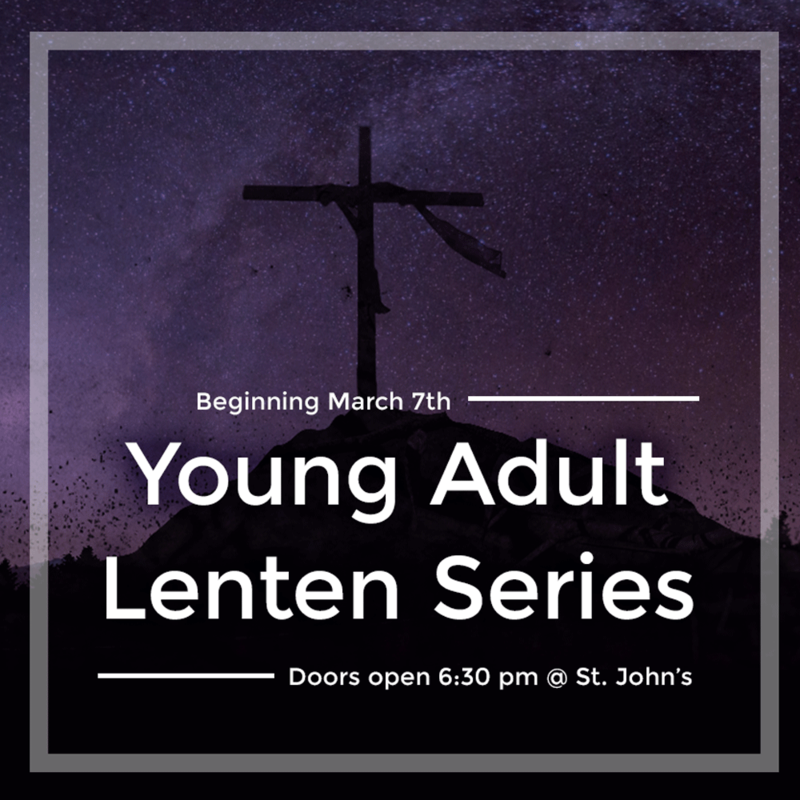 Join us at 6:30pm inside St. John’s for Adoration, a talk by Fr. 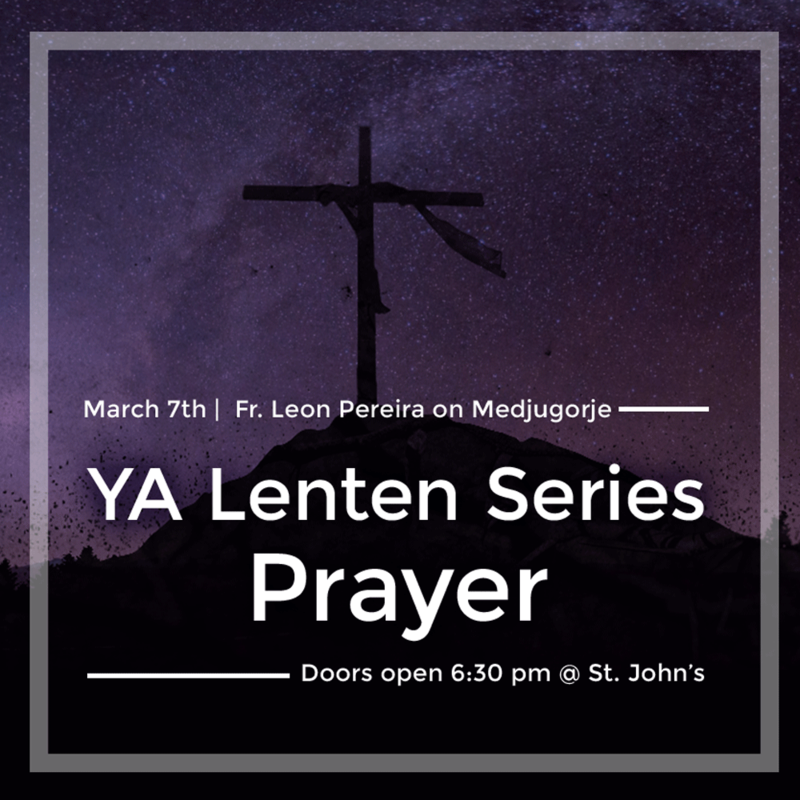 Leon on Medjugorje and a social following the talk over in Pan Am. For more on this talk see page 4 of this newsletter. 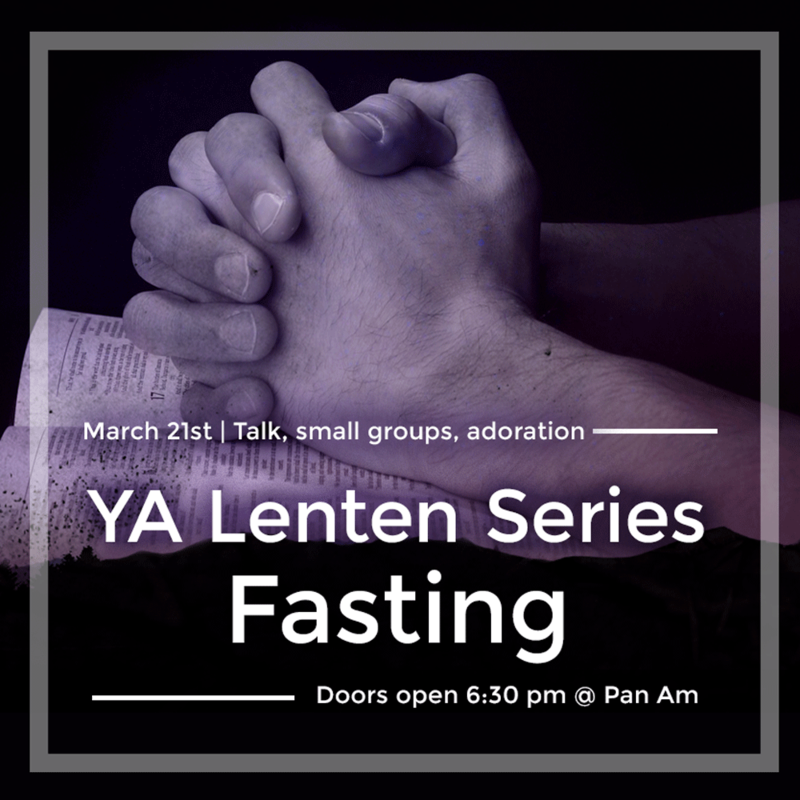 Join us at 6:30pm at the Pan Am Parish Hall for a talk on Fasting, small groups and a Holy Hour of Adoration from 8-9pm. 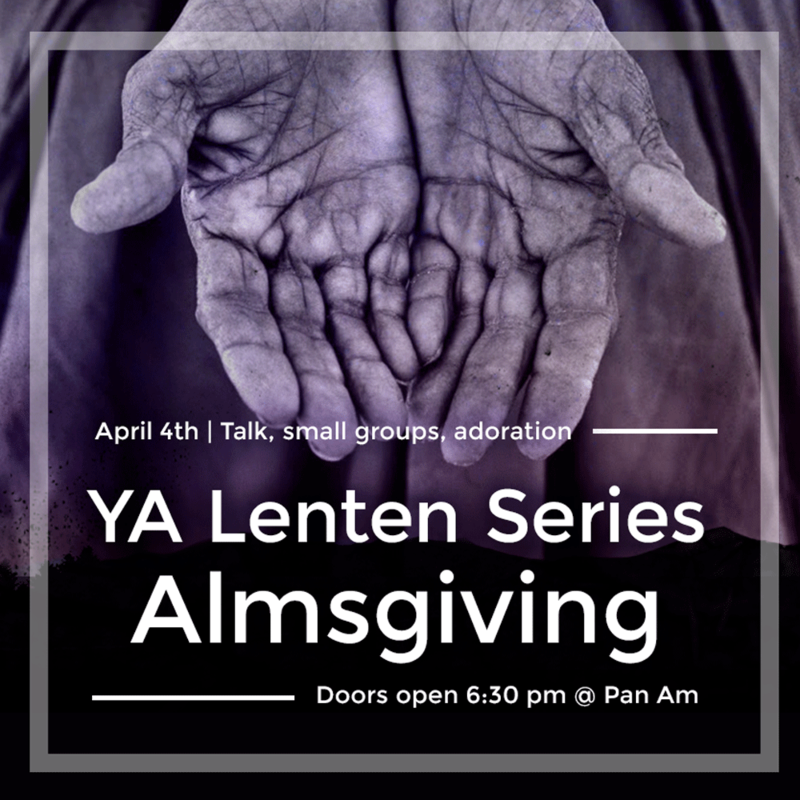 Join us at 6:30pm at the Pan Am Parish Hall for a talk on Almsgiving, small groups and a Holy Hour of Adoration from 8-9pm. 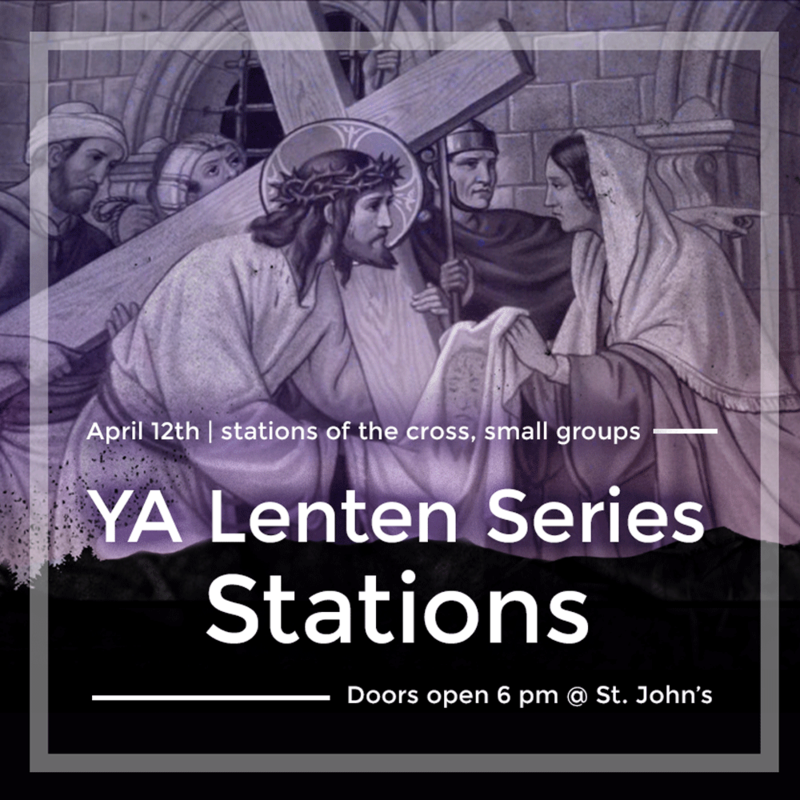 Join us at 6pm inside St. John’s for Stations of the Cross followed by small groups and light dinner in the Pan Am Parish Hall.